It’s almost too good to be true. How could something so delicious be packed with a seemingly endless list of health benefits? Fortunately for you chocolate fanatics out there, science has revealed yet another reason to consume dark chocolate on a regular basis. Recent studies suggest dark chocolate can make you smarter and even boost your mood. So aside from the joy you get from eating chocolate, scientifically it does make you happier. Recent studies suggest dark chocolate can make you smarter and happier. Many of the health benefits of chocolate come from the flavanols, which are a class of phytochemicals found in the cacao bean. Recognizing the potential in cocoa flavanols, Italian researchers set out to study the effects of flavanols on the brain. 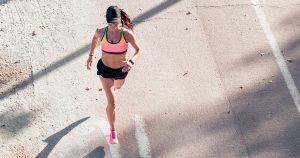 In the study, the researchers recruited 90 healthy participants and split them into two groups. Participants in the first group drank a brew of cocoa containing a high amount of flavanols. The second group drank a lower amount of cocoa and the brew contained significantly less flavanols. These results suggest cocoa flavanols can significantly improve cognitive abilities. 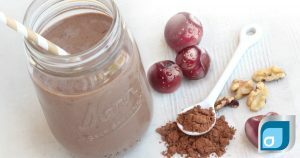 Better yet, another study published in 2012 showed that the daily consumption of cocoa flavanols improved the cognitive capacity of adults who had a mild cognitive impairment. While scientists still aren’t entirely sure how flavanols can improve cognitive functioning, the theory is flavanols promote brain cell (neuron) connections and protect the brain from toxins and inflammation. The flavanols in cacao have been shown to improve attention and memory. Chocolate contains several substances that can boost mood and make you feel happy. One of these is called resveratrol, an antioxidant that’s also found in red wine. 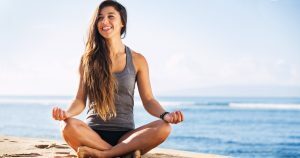 Resveratrol has been shown to boost the brain’s levels of endorphins—natural “feel-good” chemicals—and serotonin, which acts as a mood stabilizer. In other words, resveratrol can boost and regulate your mood by increasing the level of helpful neurotransmitters. Another compound found in chocolate, called anandamide, has also been found to positively affect your mood. Anandamide binds to receptors in the brain which leads to the production of dopamine. Elevated dopamine levels create the feeling of good mood and well-being. Chocolate contains resveratrol and anandamide which boost your mood. It’s clear that chocolate can effectively boost your mood, but this doesn’t mean any chocolate will do the trick. Standard sugar-filled chocolate contains only small amounts of cocoa. 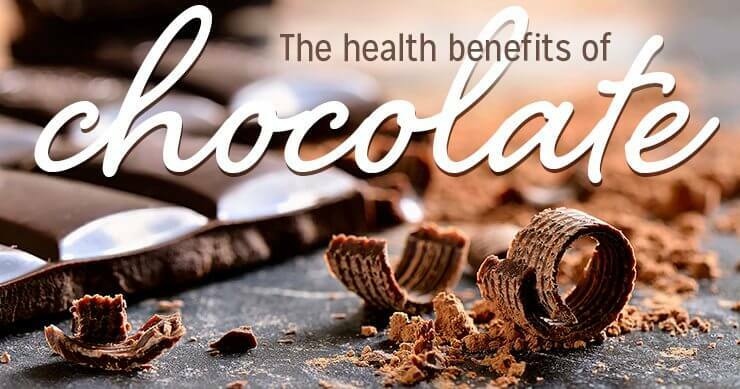 Without the cocoa, there are no health benefits. So instead of grabbing milk chocolate, choose dark chocolate (at least 70% cacao). 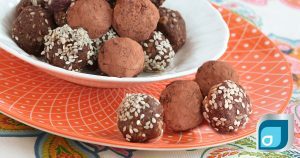 The general rule is, the darker the chocolate; the more healthy flavanols inside. If you’re not a fan of dark chocolate, 70% is a healthy starting point. Your taste buds will eventually adapt to the bitter flavor of cocoa. Over time, you can work your way up to higher levels. And where possible choose organic to avoid any pesticide residues. One more important point to consider: don’t drink dairy milk with dark chocolate. It turns out that milk interferes with the absorption of the antioxidants found in dark chocolate. This would leave you with all calories and no health benefits. Not exactly what we want. Drinking milk with dark chocolate cancels most of the cocoa health benefits. 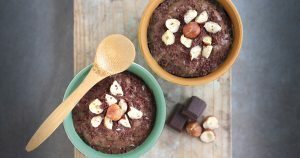 With mood-boosting compounds and antioxidants that support cognition, you can feel free to indulge in small amounts of chocolate or cocoa every day. 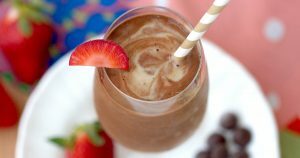 For a tasty and healthy treat, try this dark chocolate almond smoothie (get recipe).